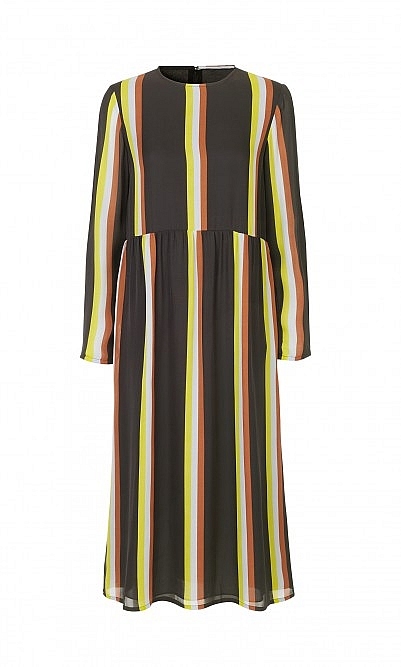 Wrapover dress amplified with a vibrant stripey print. 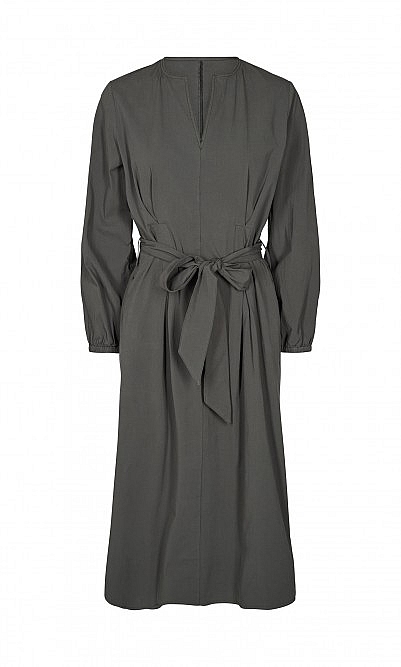 The elegant shape is enhanced with a pretty handkerchief hem, balloon sleeves and waist-cinching tie belt. L135cm. 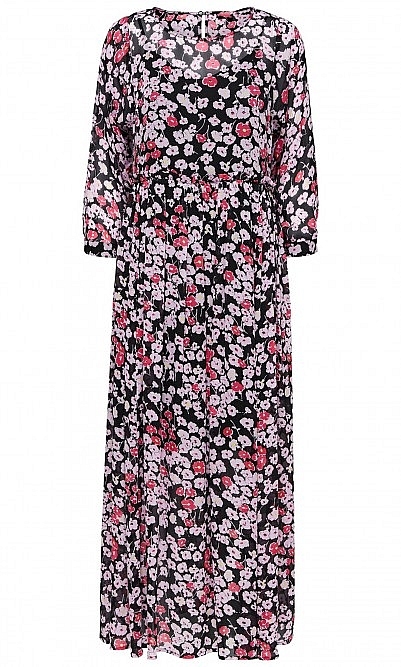 I buy lots of items from Pluno which I love but have never written a review before,, this dress however has prompted me to. I tend to opt for dark colours and oversized just because they are easy.. I'm size 14 5'8",fairly large breast don't consider myself to have much of a waist and am 47 with lumps and bumps from too much prosecco! This dress is so much better in real life , fits like princess line from fthe front which suits me I don't wear anything with waists so although the wrap belt goes round the back the dress remains smooth and flowing not added extra volume due to eladsticcation or such like. The stripes also seem to make it slimming and the colour combo is unusual. I put this dress on with platform suede boots and felt like Stevie Nicks! The fabric has a warm comfy feel, light but drapes well, so easy to wear- I want more! An investment for sure but i'm ignoring the cost and swishing around like a ballroom dancer!